Take a bite out of the Brooklyn scene on this NYC pizza tour! There’s no food The Big Apple is better known for than its eponymous pizza and no visit to the city is complete without a taste! 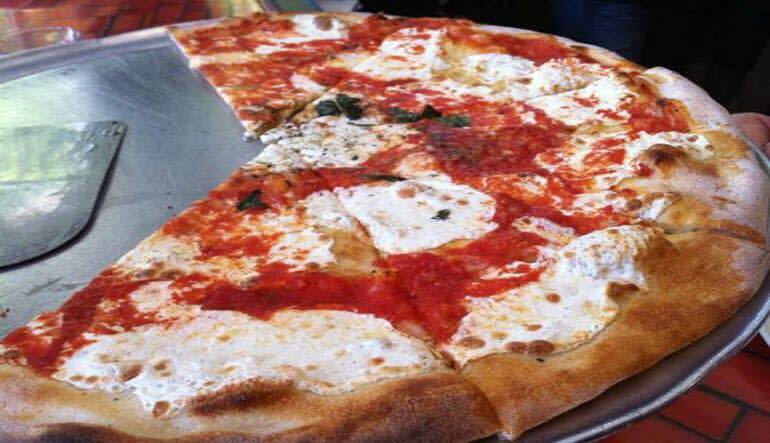 Take a bite out of the Brooklyn scene on this NYC pizza tour! There’s no food The Big Apple is better known for than its eponymous pizza and no visit to the city is complete without a taste! On this mouthwatering adventure, you’ll journey into Brooklyn to sample the wares of two of the best pizzerias in the city! 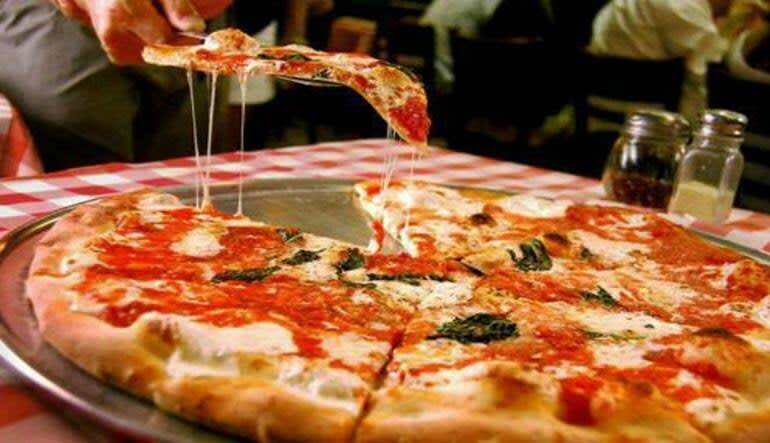 At Grimaldi’s, you’ll be treated to real brick-oven Neapolitan style pizza, hand formed, thin and crusty. 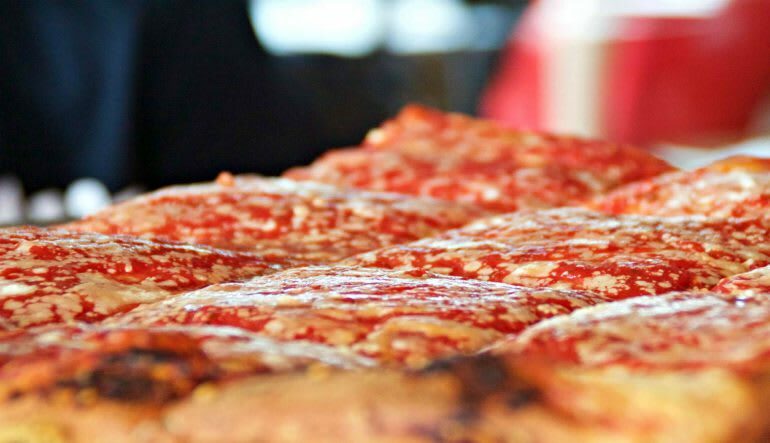 At L&B Spumoni Gardens, you’ll dig into thick-doughed, cheesy slices of authentic Sicilian style pizza. Which pizza style is the winner? You decide! Along your way to taste bud nirvana, you’ll have the amazing opportunity to explore the timeless neighborhoods of Brooklyn and their myriad of famous and historic sights. You’ll enjoy all of the comforts of a climate controlled touring bus while also hitting the streets to take in all that Brooklyn has to offer! View film shoot locations from internationally renowned movies such as Goodfellas, Annie Hall, and Saturday Night Fever! Don’t miss out on the tastiest of Brooklyn tours! Hop on board for a feast of the sense on a Brooklyn pizza tour today! Our guide was fun, friendly and knowledgeable! Iconic Brooklyn sites such as the Brooklyn Bridge, Coney Island, Bay Ridge architecture, movie shoot locations, and more! Alcoholic beverages are not included but may be purchased at the restaurants visited with valid I.D.